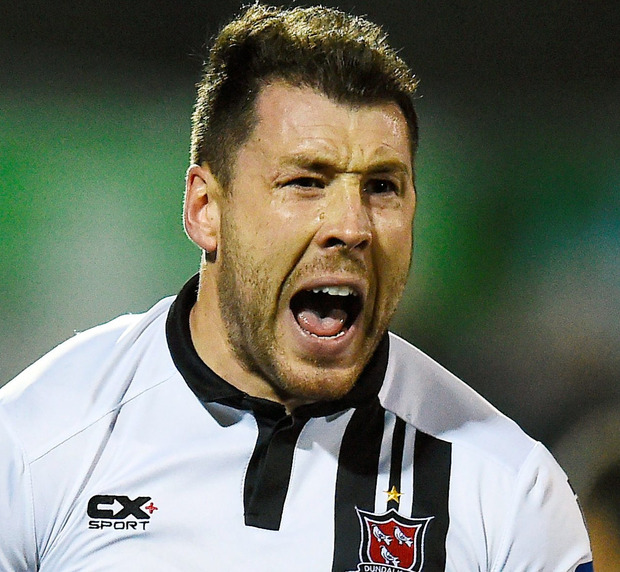 Brian Gartland is making up for lost time with Dundalk following a bizarre chain of bad luck that left him on the sidelines for the opening months of their campaign. The experienced defender was struck down by a quad injury a week before the start of the campaign and was then afflicted with the serious flu bug that struck the camp. When he channelled his energies back to fixing the quad, another issue cropped up. "I was meant to get an injection on the quad but I missed it because I ended up in A & E with an abscess in my throat," he explained. "I was sent home after being on a drip, but the club doc sent me back to hospital the day after because it wasn't drained properly. What I had was a quinsy, which is rare. They put a knife down your throat and lance it to try and take the infection out." Gartland was kept in hospital and was bed-bound on strong antibiotics before another week at home sitting on the couch. It coincided with Dundalk's perfect defensive start to the campaign, with a run of eight clean sheets as the 31-year-old watched on from the sidelines. He joked on the new 'LOI Weekly' podcast that he might have selfishly preferred a series of 5-4 victories. "You want the team to win, you're not going to win a league unless the squad is doing well but as a footballer you do think of yourself and you want to get back in," said Gartland. "You have to wait your turn, but the chance will always come around." Niggling injury and suspension issues opened the door and Gartland is now back in the side. He was on target from a set-piece in Monday's 4-1 win in Derry that made a statement about the intentions of Stephen Kenny's side. They're on the road again tonight when they face Bohemians in Dalymount Park. The Dubliner anticipates a tricky challenge from past experience. "They raise their game against (Shamrock) Rovers and they do it against us in Dalymount all the time too," he said. "It's never easy. The grass is usually not watered and if it's a dry night, the ball might not roll as quick. "If we get out of there with three points, I don't care how we get it." Dundalk are two clear at the top of the table, but Cork City have a game in hand and they will expect to take full points from the visit of bottom side Bray Wanderers. That said, their manager struck a cautious tone after Bray succeeded in halting Waterford's momentum with a 2-2 draw on Monday. "Bray were unlucky not to win that game," said John Caulfield. "That's the way the league is now, it's so competitive."